Google’s massive $12.5 billion acquisition of Motorola is still pending reviews in various markets, but in Europe it has temporarily been put on hold as the European Commission (EC) required more documents from the companies. The EC is probing the deal for threats to competition and has halted the review process until it has been granted “certain documents that are essential to its evaluation of the transaction,” EC spokeswoman Amelia Torres said. The deal was suspended on December 6th. 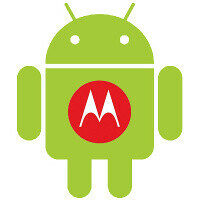 Earlier Motorola clarified that the need for institutional approval might delay the closing of the deal to 2012. The search giant is planning the purchase in an attempt to get its Android patent portfolio fortified with Moto’s 17,000 patents held. Now, this request is nothing out of the ordinary, a Google spokesperson reassured Bloomberg, so the deal should be back on track ones all the paperwork is cleared. To bad Apple is already in hot water with Motorola them selves. If google doesn't get them, Motorola sure will. Why Europe puts this one on hold? wasn't already approve here in the States?